SkillsUSA programs are developed for implementation on the local, state and national level. 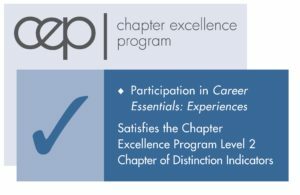 Student members can achieve individual recognition by participating in programs, while several programs actually honor the entire section or chapter for their accomplishments. Programs are designed to support the development of framework skills and can be seamlessly woven into existing classroom curriculum so that they are truly integral to instruction. The links on the right provide the details you need to participate in the programs listed.